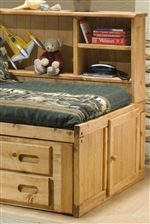 Casual rustic styling makes this pine student desk a fantastic option that gives your son or daughter a place to work on homework or use as a spot for their bedroom computer. 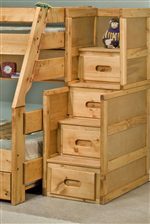 Three drawers of the single pedestal provide room to keep pens, paper, and more. 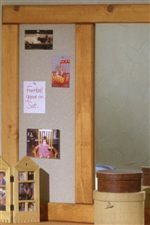 Complete the desk with the coordinating hutch and upholstered desk chair. 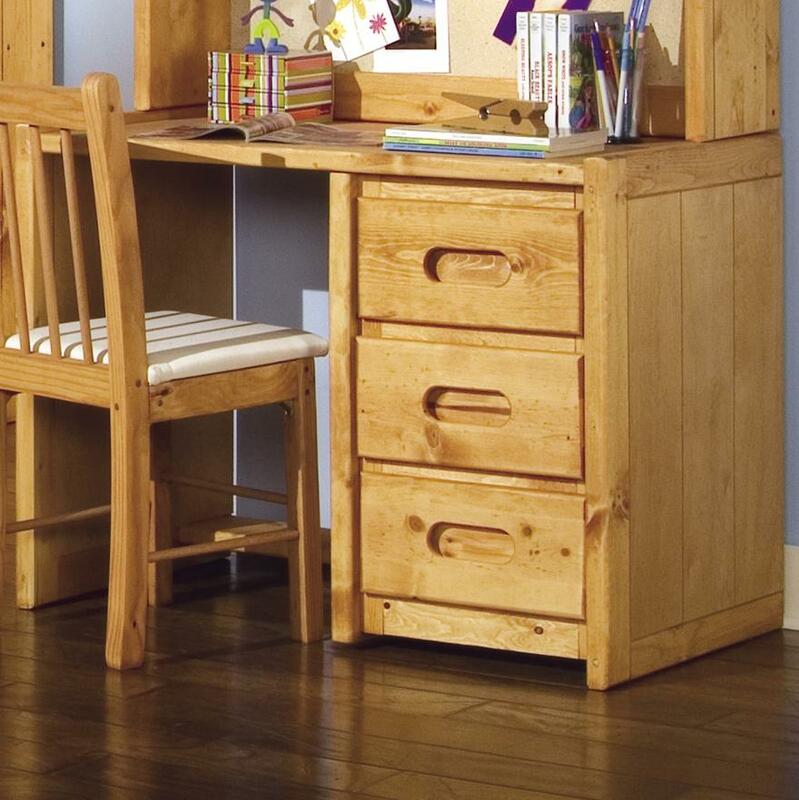 The Bunkhouse Single Pedestal Student Desk by Trendwood at Miskelly Furniture in the Jackson, Pearl, Madison, Ridgeland, Flowood Mississippi area. Product availability may vary. Contact us for the most current availability on this product.